Preti’s Flaherty is proud to announce that attorney Bodie B. Colwell has been elected senior co-chair of the International Women's Insolvency & Restructuring Confederation (IWIRC) New England Network. IWIRC is an international association that works to connect, promote and enhance the success of women in the insolvency and restructuring professions worldwide. IWIRC provides opportunities for networking, professional development, leadership, mentoring, and recognition of achievement on local and international levels. 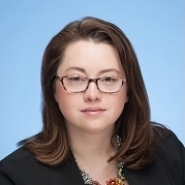 Colwell practices as an associate with Preti Flaherty's Bankruptcy, Creditors’ Rights and Business Restructuring group from the firm's Portland office. She focuses on supporting bankruptcy, insolvency, and creditors’ rights clients.